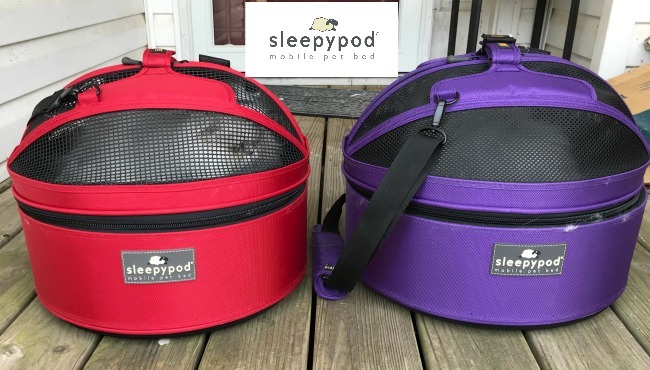 Don't forget to enter our giveaway for a Sleepypod® Mobile Pet Bed. Ends August 31 at 11:59 pm. Open to residents of the US, 18+, void where prohibited. What pretty girls! I bet your human didn't get much work done. You girls don't make it easy for your mom to get some work done. 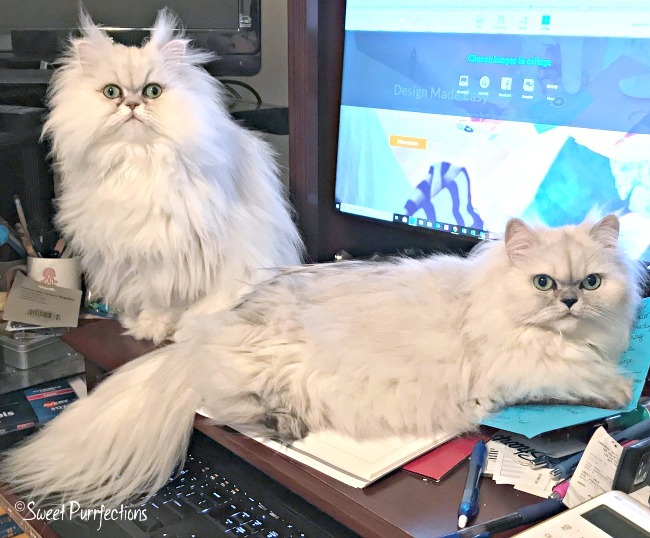 Your Mom may need a bigger desk so you can both be comfy and she can see her computer! Well, humans need lots of computer help and inspiration. You girls are the best. I think my computer needs upgraded to include you draped over it! Tee hee hee. Winky winks to you, purr-ty silver dolls! Kisses. We also can really slow down TBT here. We are especially good at walking on the keyboard and changing computer settings! Do you do that too? Looking most gorgeous today ladies and OMC what a give-away, we love Sleepypods! The lovely ladies look like wonderful helpers.